Quezon City, Philippines — Fernandina Garden Suites calls on city dwellers scouting for a brilliant vacation spot in Metro Manila. With the newly launched Piso Nights Promo and All 4 1 Promo, a short drive is all it takes for them to enjoy a retreat at the heart of the bustling metropolis. 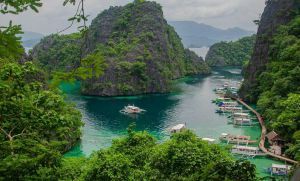 Tired souls looking for a place to unwind can now have their dream vacation for a more affordable price. 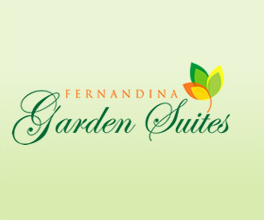 With Fernandina Garden Suites’ “Piso Nights” and “All 4 1 Promo”, big discounts are up for grabs until August 31, 2013. The first offer from the hotel in Quezon City, Philippines, Piso Nights Promo makes stays that will last for at least 2 to 12 consecutive nights more affordable than usual. Under this deal, lodgers only have to pay PHP1 for the last night of their accommodation. Free breakfast will be served, but only on the 1st day. 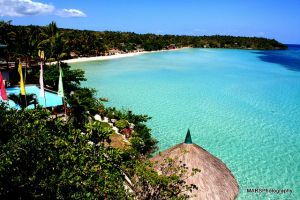 Rates start at PHP2,151 for 2 nights, PHP4,301 for 3 nights, PHP6,451 for 4 nights, and so on. Quoted prices increase depending on room type and capacity. And now, the deal that is sure to excite families and friends in town, All 4 1 Promo is particularly for groups of 4 people. By grabbing this exclusive offer, guests can enjoy an exclusive Double Deluxe accommodation with rates that start at only PHP2,550 for 1 night. Simply put, they will delight in an urban retreat for 4 that is priced for only 2 persons. This promo covers breakfast. Rates are inclusive of taxes and fees, and both deals are valid until August 31, 2013. Promo details may change without prior notice. Furthermore, children who are 11 years old or younger are allowed to stay free of charge. The maximum number of non-paying guests depends on the room type booked. Check in is at 2 pm, and check out is at 12 noon, following local time (GMT +08:00). Other policies apply. To begin reserving rooms under these 2 new promos, guests only have to click the “Check availability and prices” button at http://www.fernandinagardensuites.com/packages.php. This will direct them to the Quezon City accommodation’s efficient online booking engine that is powered by DirectWithHotels. Using the virtual calendar, they need to indicate their preferred check-in and check-out dates, and tap the “View rooms and prices” button. Doing so will load a page containing an updated list of available rooms grouped under the hotel’s various promos and rate plans. 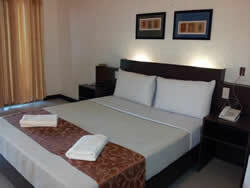 Other helpful details regarding accommodation are also provided, making the selection a lot easier for visitors. Once they’ve chosen the room they want to book under Piso Nights Promo or All 4 1 Promo, they must click “Reserve now” to proceed to the next step. Guests will then be given a summary of the reservation, which highlights the required prepayment amounting to the total reservation cost. Tapping the “Guest details” button will load a form, which they have to fill out with personal information, including credit card details. They will then instantly receive an email confirming their reservation. Every transaction made using the booking engine is protected by Trustwave and VeriSign, so safety is always guaranteed. Our hotel sits along G. Araneta Avenue near numerous places of interest, including churches, hospitals, banks, and shopping centers. Timog Avenue, the city’s prime entertainment strip, is also minutes away from Fernandina Garden Suites.